The GMC Granite was one of the vehicles debuted at the 2010 Detroit Motor Show. 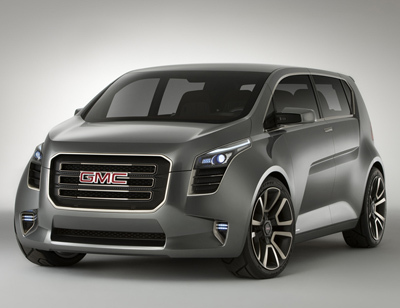 Originally revealed at GM's 'The LAB' website as the 'Urban Utility Concept', the Granite is a relatively small - for GMC - vehicle which could slot in under the Terrain in the company's lineup. If brought to market, the Granite would be the smallest GMC ever  but it has been engineered to efficiently use what space it does have. Its length is a full 2 feet (0.6 m) shorter than the Terrain. 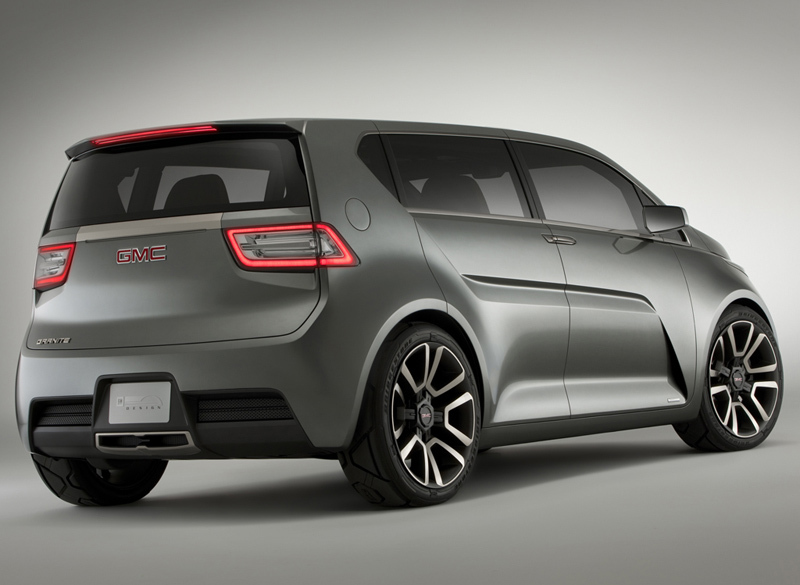 According to GMC the Granite is aimed at young professionals who want a vehicle with an 'urban-industrial design aesthetic'. 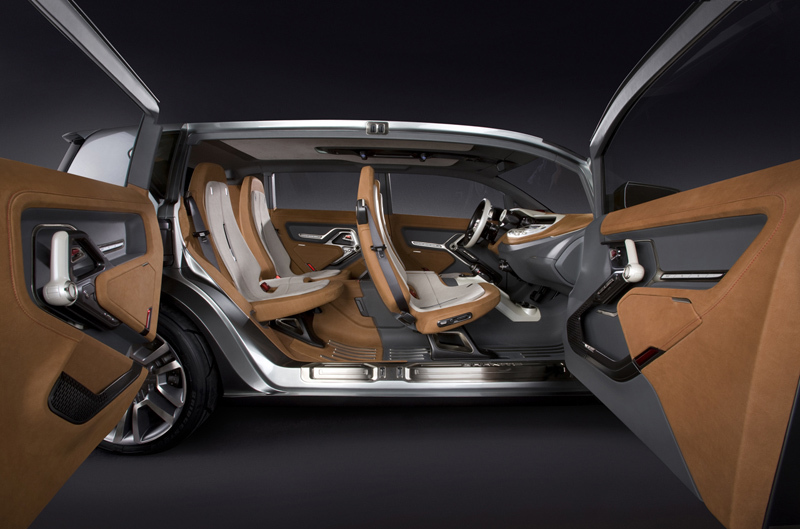 "We think of the Granite as the automotive equivalent of an urban loft apartment," said Dave Lyon, executive director of North American Interior and Global Cross-Brand Design. 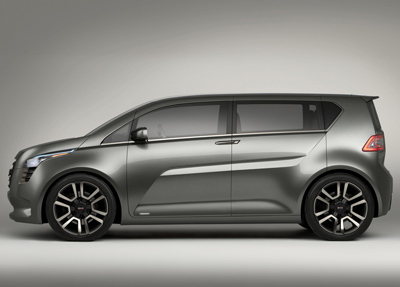 "The exterior has an unmistakable industrial look, but the interior is warm and personalized." The group of young designers who developed the Granite created a car for people like themselves - people who are more likely to take friends to clubs and carry outdoor gear for weekend excursions than haul lumber or tow a boat. 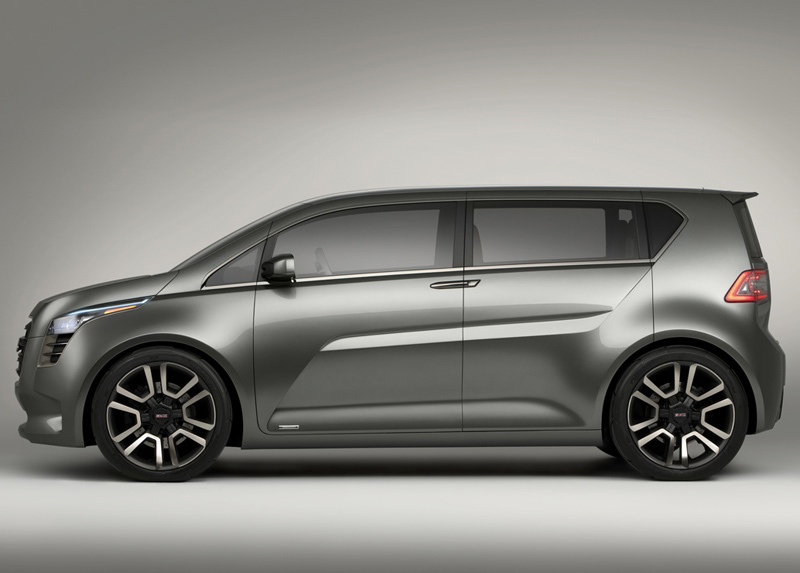 "The Design team leveraged the best attributes from different segments: SUV, minivan and crossover, and mixed them with a commercial chic aesthetic. We feel this redefines the premium class of vehicles we call urban utility vehicles," said Lyon. 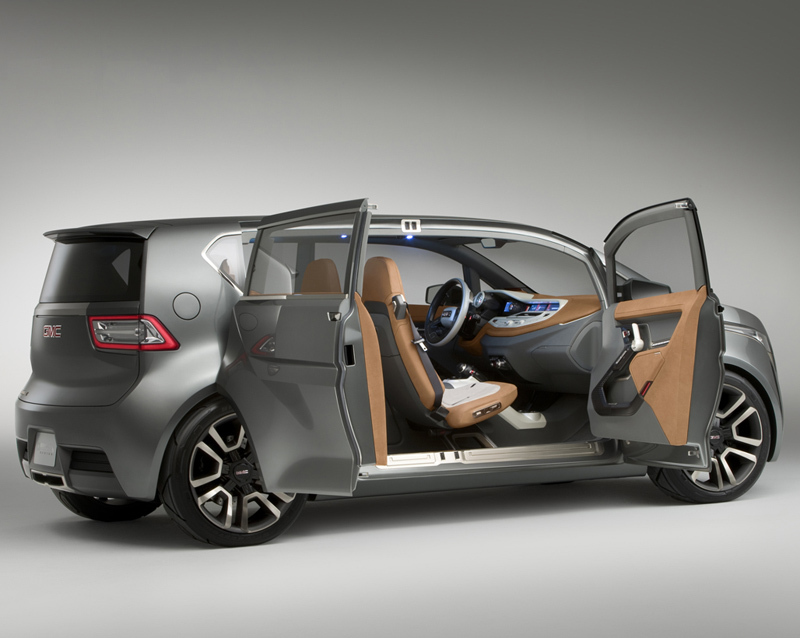 The Granite concept has four doors, hinged on each side to open like a set of French doors. There's no pillar between the front and rear doors, making the Granite easier to enter, exit and load, even with bulky items. If a production version of the Granite were to be developed it would be interesting to see if GMC deleted this handy design feature. The concept's interior was influenced by the design of aircraft mechanical instruments and precision tools. This inspiration is most obvious on the dashboard and instrument cluster, where gauges were modeled after finely crafted timepieces. A compass incorporated into the "barrel" surrounding the speedometer moves with every turn of the vehicle, providing an at-a-glance directional confirmation. Powering the Granite is a fuel efficient 1.4 litre turbocharged four-cylinder engine which is matched to a six-speed automatic transmission.